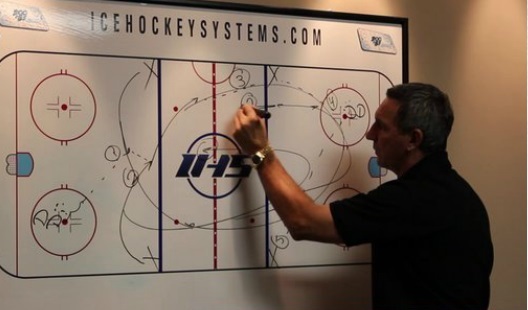 Setting the Tone for Tryouts | Ice Hockey Systems Inc. Within the coming weeks and months hockey tryouts will be taking place all over the world. It’s an exciting time for any coach and their program, but as I experienced first-hand it can also bring stress, frustration and second guessing. The way you run your tryout can set the tone for the rest of the season. A well run tryout can set your program on the path to success, but a poorly run tryout can swirl into a disaster that’s tough to recover from. Tryouts are a time for new beginnings, and the perfect time to redefine yourself as a coach and develop the identity you envision for your program. Whether you have to make 1 cut or 100 cuts, decisions at tryouts are never easy, and making the right one or wrong one can be the difference between success and failure. As a coach, this is your time to set the tone, your time to take control and your time to turn your program into something special. In order to do this it’s extremely important to have a pre-tryout meeting with your players and, depending on the age level, parents. I recommend having a mandatory meeting a few days in advance of tryouts that will give your players time to digest the philosophy of the program so they can prepare properly for tryouts. Time is too valuable to waste on attitude, selfishness will not be tolerated. Our program and coaches will require you to commit to this philosophy day in and day out. After describing your team philosophy, expectations, and goals it is a good time to review with the players the structure you will have for your tryouts. We will be releasing a very detailed suggested structure in our second segment of our tryout blog, but during the meeting you should be going over how early you want the players to the rink, what jersey(s) you need them to bring, the tryout schedule, how soon will you be making cuts, how will you inform them who makes the team, etc. It’s nice to have this all printed out for the players and parents ahead of time to avoid unnecessary questions. Next, I recommend bringing up the forbidden topic of politics. Almost every tryout is rumored to have some sort of politics involved. The pre-tryout meeting is your chance to take the politics out of tryouts as much as possible. Of course every situation is different, but things can be said and done to minimize the likelihood of attempts to be swayed on your decisions. It’s important to let the players and parents know exactly how many spots are available and exactly how many players are expected to tryout. Be completely honest and up-front with both the players and parents on how many players you may have already committed to prior to tryouts. Your honesty will be appreciated and will give you even more credibility. This is a good chance to also make it known that no politics will be involved when selecting your team. At meeting in the past I have stated that if any player approaches me with even the slightest hint of pressure before the end of tryouts they will immediately be cut. I was coaching a college team, so I’m sure it’s a lot tougher with parents, but this meeting gives you a chance to put your foot down and minimize by far the most counterproductive part of tryouts; politics. "I expect each of you to play like it’s the last time you will ever step foot on the ice. I expect to hear your voice screaming for every puck no matter where I am in the rink. I expect physical plays, but nothing cheap. I expect energy and sacrifice at levels I have never seen. There are 65 of you and I’m keeping less than half. Do not make my decision easy. Cheap shots, fighting, poor attitude and laziness will make my decision easy. I expect everything you have, come ready to go, and show me what you’re made of." The expectations for your players will be different at all age levels. What I have above may not fit your philosophy or age level, but no matter what level you are coaching telling your players exactly what you are looking for is very important. It is your first chance to see how players respond to what you say, and it gives you something to look and listen for throughout the tryout. I truly believe that holding a pre-tryout meeting is a necessity for a successful tryout. It offers the perfect time for you to explain your philosophy, set goals for the season, address the forbidden issue of politics, and tell the players what you are looking for. This is your time to take control, make your first impression and set the tone for the rest of the season. Did you find this segment helpful? We have four more tryout segments being released in the coming days. Be sure to check back for more. Доброго времени! Хочу Вам предложить свою услугу в помощи продвижения вашего ресурса в поисковых системах, недорого, всего лишь за 9700 р. От Вас нужна лишь ссылка на Ваш сайт и ключевые слова в текстовом файле, по которым Вы хотите продвинуться в ТОП (пример вышлю Вам по электр. почте, если заинтересует). Я размещаю вечные ссылки на сайтах и форумах, которые ведут на Ваш ресурс. Мною будет написана статья (грамотно размноженная и "заточенная" под Ваш ресурс), а в ней будут анкорные или безанкорные ссылки передавать Вам свой "вес", траст, и ссылочную массу. Тем самым увеличивая траст, доверие поисковиков, быстрое индексирование, рост позиций в выдаче, рост ссылочной массы и т.д... Вся работа займет по времени 2-3 недели и Вы увидите отличный результат! Ваш сайт "оживет" в интернете! 100% предоплата (Принимаю по карте, Вебмани, ЯДеньги, Киви). Списаться со мной Вы можете по почте proxrum$@$mail.ru с темой "ПРОДВИЖЕНИЕ САЙТА ПО СКИДКЕ" (удалите пожалуйста два символа $). У меня нет выходных, я не компания. Я частник! И работаю, стараюсь, как для себя! P.S. Будет хорошо, если у вас на сайте стоит счетчик Яметрики (там есть важные ключевые фразы) и у Вас есть более удобная связь (скайп, аська, или же вайбер). Спасибо! С Уважением!